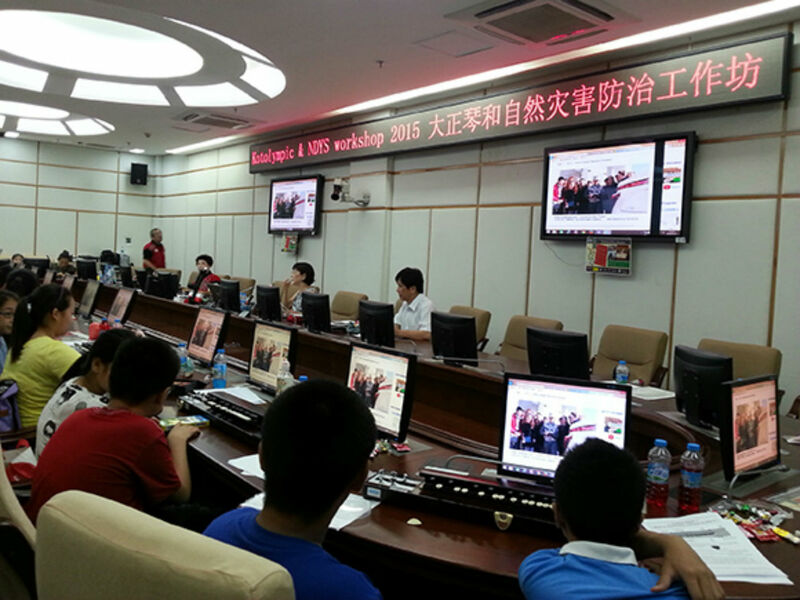 On July 27th, the iEARN-China team hosted a workshop in Shenzhen featuring global project-based learning activities and iEARN projects, including the Taisho Koto Project and the Natural Disaster Youth Summit. Students and teachers learned together and enjoyed connecting with Yoshie Naya from Japan (facilitator of the Natural Disaster Youth Summit) and Cindea Hung (participant of NDYS and facilitator of the School Uniform Exchange (SUE) Project) from Taiwan. On July 25th, NSLI-Y participants took part in a community activity in Zhuhai in which they spread a message to hundreds of people to protect migratory birds. The event was featured in the local newspaper and TV.